Myanmar is changing quickly. In 2011 a civilian government took over from previous military rulers. While last year’s elections saw enough seats won to start a brand new government. Despite logistical issues, all this does seem to herald a new dawn for the country. This is showing itself in rapid tech adoption and a surge of interest from foreign players. One of these is Ringier Group - a Swiss media company founded in 1833 - with a presence worldwide. Duwun, launched in December 2015, is a joint venture between Ringier Group and large local news agency, Information Matrix. Aimed squarely at a 16 -35 year old urban population, this is a “Buzzfeed” meets “Huffpost” for a brand new market and seeks to revolutionise the way young Myanmese consume content. In the short Q&A below we catch-up with Tim Kollmann who moved to Myanmar five months ago to launch Duwun. He shares his impression of the country in relation to other emerging markets he has been based in and tells us his vision for Duwan. It looks like you’ve been in Yangon for five months: how have you personally found the business culture and rate of change on the ground? The business culture is in general a very friendly and positive one - people here are interested in collaborations and hearing about new ideas. Things are moving here - there is a general “buzz” in the country - where a lot of businesses see huge opportunities in their markets and in venturing into new fields of business. Digital is developing at super high speed here in the country, where in 2011 110,000 people had access to internet, by the end of 2015 7.3 Million local Facebook accounts existed. 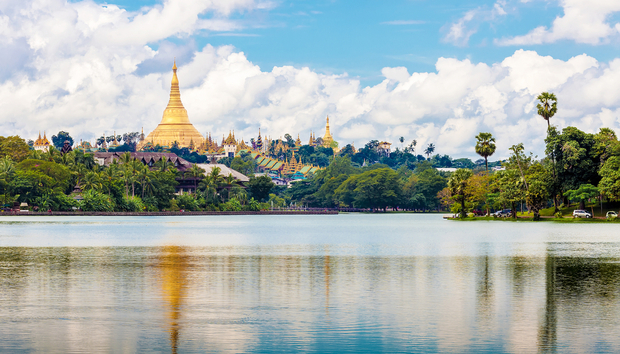 The elections in November 2015 also represented a huge step forward for Myanmar, resulting in a population looking very positively into their future and FDI [Foreign Direct Investment] soaring to new heights. How does this compare to Ghana [where Kollmann was also placed with Ringier] and other emerging markets you’ve experienced? For me the unique historical background of this country, which is embedded in rather developed or fast developing countries is the main difference. In Myanmar a look around shows exactly where the development will go - just at a faster speed. Ghana and other African countries are also full of promise but pose a much higher complexity concerning the ability to predict where the development will go and how fast it will happen. GDP per capita is approximately the same in Ghana and Myanmar, but clearly the countries - also from their different histories in colonialisation - are at totally different levels of general infrastructure and socio-economic development. Ghana currently is experiencing a period of economic difficulties, whereas Myanmar - with all its still existing challenges - is definitely in a period of economic upturn. Ringier has a print history in Vietnam and China but it looks like what you are doing in Myanmar is quite unique. Can you explain? We see our project in Myanmar more in a legacy of digital news media projects in Africa - namely Pulse in Ghana and Nigeria, where we have seen great traction in the market rather fast. The businesses in Vietnam and China are over 10 years old and are still a product of the old “print world”, which still definitely makes sense especially with established brands and products. At the same time, they are also moving more and more in the digital market with great success. At the same time, we in Myanmar can also access great previous knowledge e.g., in the field of event organisation as a product extension from pure media products. How has Duwun progressed since your launch at the start of December? Duwun has been able to create a monthly audience of over 1.3 million unique users within two months of operations, bringing us fast much closer to our goal of becoming the #1 online news platform in the country. We also produce the highest number of unique articles in local language in the country - trying to provide a 360 degree international and local content coverage for our readers on a daily level. We also just recently expanded into video and events, striving to provide also “moving” content to our readers as well as to organise offline events servicing our online audience and expanding our value proposition. Has anything surprised you about the project so far? To be honest the speed of traction as well as the absolutely fantastic talent we have been able to find here has been surprising and makes us belief even more in the market. Also, advertisers have been responding very well and quickly to our new innovative ad formats such as native advertising which we introduced to the Myanmar online market. Where do you see Duwun heading short, medium and longer term? In the short term, we want to become the largest online news [service] in the country serving millions of readers with the best stories on a daily level. In the medium, we see ourselves expanding successfully in the event and video space, organising and building content for and around events with thousands of attendants and producing a large array of wepisodes and other relevant local news content. In the long-term we see us expanding into further digital media concepts and ideas leveraging our core reach platform of Duwun further. Do you think this model will eventually be rolled out across other Asian markets or is Myanmar still too different? We see a particular sweet spot for this kind of business model in Myanmar and do not plan a further expansion into other Asian markets at this point. Rather further involvement in the market with a vertical expansion of business models is within possibilities. Is there anything else you’d like to share that an international audience may not be aware about? Myanmar is also a culturally a great country to be in and spend time in. It can be expected that due to more access to further external funding some local entrepreneurs creating amazing new ventures will come up or will be able to accelerate their local operations shaping the local start-up environment and bringing it to further maturity. [It is] a great time to look into this market and ecosystem!